Vertical blinds offer a versatile solution to controling light coming through your windows. Available in a range of fabrics from traditional patterns to vibrant colours there is a style to suite all tastes and budgets. 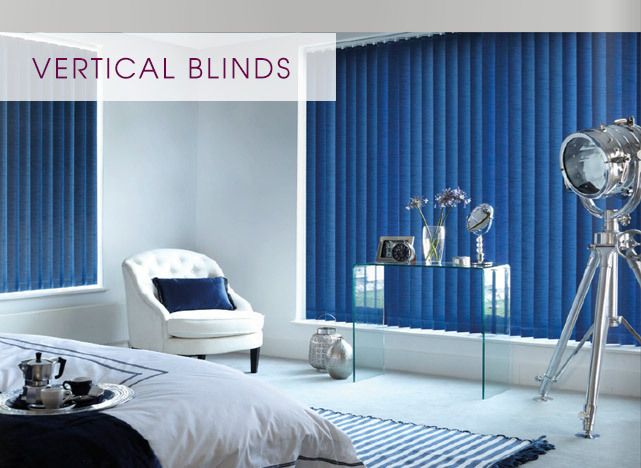 Full control Vertical blinds are available with cord and chain or wand operated controls. Customisable options Vertical blinds can be customised to suite your taste with a choice standard and blackout fabrics, water resistant PVC slats and plastic or metal control chains. High quality Our vertical blinds are manufactured using the best quality componants, and all our slats are stitched not glued so they won't come apart.